Vacation Rental Blog: Holiday Shopping, Seasonal Events & More on Florida's Gulf Coast! Holiday Shopping, Seasonal Events & More on Florida's Gulf Coast! December is a busy month! 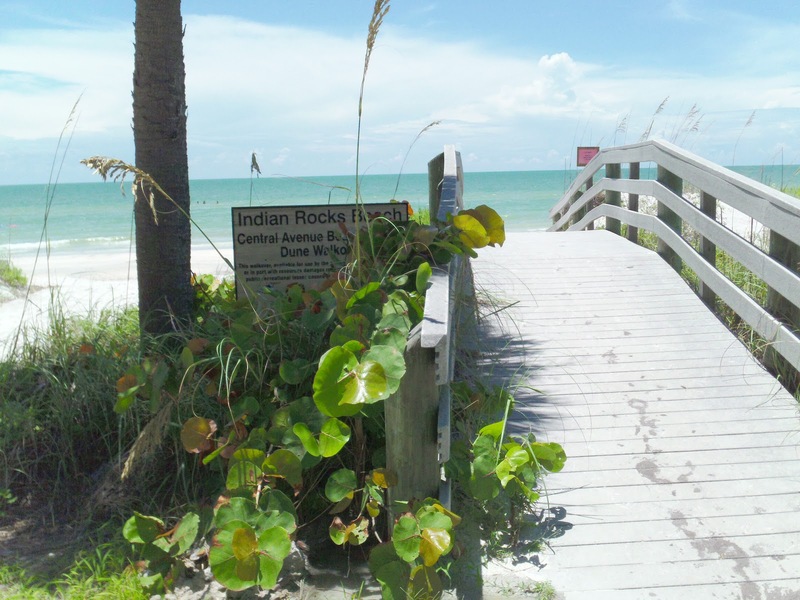 There's a lot going on, and we want to keep you informed on what's happening locally here near Indian Rocks Beach and Indian Shores. 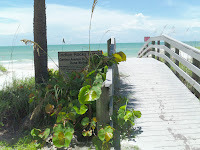 We really hope that you'll be staying with us in one of our Indian Rocks Beach vacation rentals this month. December is the ideal time for a Gulf beach getaway and the perfect opportunity to take a break from the hustle and bustle of the holiday season by vacationing here with us. Or as we mentioned last week, consider spending your holidays right here with us in Indian Rocks Beach and Indian Shores! Now, here are some Gulf Coast events that you'll want to plan for during your time here. You'll be conveniently located to all of the Gulf Coast action while staying on the peaceful quiet shores of Indian Rocks Beach. There are some great chances to shop locally and find the one-of-a-kind gifts you're looking for, in addition to enjoying some really fun seasonal events. The Florida Botanical Gardens Gift and Plant Sale in Largo is held in the formal gardens and is a day-long event on Sunday, December 9 from 10a.m. to 4p.m. offering free entry for visitors during the daytime hours. With more than 35 vendors on-hand, shoppers can find an assortment of orchids, hibiscus, iris, bromeliads, native plants, herbs and citrus, as well as a wide variety of other gift-giving items. Also shop for unique clothing, outdoor items, food, crafts, jewelry, candies and so much more. Don't forget to make a stop in the gift shop, too! While you're here, stay on into the evening and experience the Holiday Lights in the Gardens from 5:30-9:30p.m. The Holiday Lights continue through January 1. With more than 500,000 lights illuminating the thousands of plants and trees, it's a seasonal delight. Home-grown entertainers perform nightly and refreshments are available. Catch a glimpse of Santa whenever he can get away from the North Pole. Children 12 and younger are free, and a $2 donation is requested to help support this family friendly event. Do you want a sneak peak? Click here for video clips of the Holiday Lights in the Gardens. Well if you have to go, Death by Chocolate is the way to do it! Come out to the Largo Cultural Center on Friday, December 7 from 7-9p.m. for an all-you-can-eat-and-drink event where visitors can indulge in champagne, wine samples, chocolate desserts 'til your heart's content, live music, silent auction, and a holiday marketplace. The best part is that proceeds from this event raise money for children in and around the city through local youth programs. Tickets are $25 at the door or you can purchase your tickets early online for $20 before midnight on December 6. Snow in Florida? You heard correctly. From 4-9p.m. on Saturday, December 8 come to Safety Harbor City Park for Snow Fest with all new snow ramps, inflatables, and carnival games. Activities include a speed pitch, a 37-foot inflatable slide, and 4 bungee power jumps. Enjoy live music by Matt Winter, food, and Bailey's hot chocolate to keep your warm. A $7 wristband includes entry and unlimited access to the snow ramp, inflatables, and games. Or, pay $2 for entry only. Don't forget your mittens! What's Christmas without some Sinatra music? Steve Lippia recreates Ol' Blue Eyes at Ruth Eckerd Hall in Clearwater during his Simply Sinatra Christmas performance. 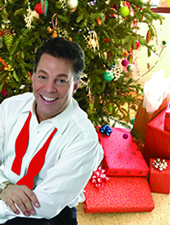 He performs a wonderful blend of holiday cheer, memories, and big band energy with jazz and swing standards. Catch this performance on Thursday, December 6 at 1p.m. Ticket prices run from $18-$35. Ticket information and purchasing can be found on the Ruth Eckerd Hall event website. Well, we've covered a lot here today, but it's not a comprehensive list of all the exciting things going on this time of year on the Gulf Coast beaches and in our Gulf Coast towns. Come and see for yourself! Are you planning a Gulf Coast vacation in December? Tell us about it! We always love hearing from you. Our comment section is always open and welcomes your input.